The second day of the World Cup gave us two late winners in the early matches, earning Uruguay and Iran 3 precious points. 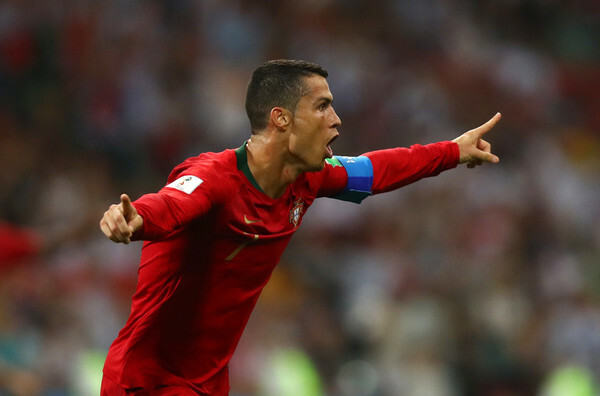 Cristiano Ronaldo stole the show in the mega clash between Portugal and Spain, scoring a hat trick in a terrific 3-3 draw. The first South American team to take the World Cup stage in 2018 disappointed when it came to ability. Egypt did a good job of disrupting Uruguay’s ball movement in the midfield and cancelling out their option for crosses, while both Luis Suarez and Edinson Cavani combined for too many poor decisions. Hector Cuper chose to leave Mohamed Salah on the bench for the entire match which almost worked out for him, but in the 89th minute, Jose Maria Gimenez of Atletico Madrid rose to meet a cross from Carlos Sanchez to leave Egypt with compliments for their defense and discipline, but Uruguay with the points to keep them on par with Russia. The first Asian side to win a World Cup game since Japan in 2010 happens to be Iran. Team Melli didn’t play well or deserve the 3 points, but they withstood the Moroccan pressure early on and late in the match, earlier thanks to catching up with what works and what doesn’t for the Atlas Lions, and later simply by getting a couple of big saves from Alireza Beiranvand in a terrific performance. With players falling from fatigue and cramped muscles, it turned out that a 95th minute own goal decided the game: Aziz Bouhaddouz of St. Pauli, who came on 18 minutes earlier, slotted it impressively into his own net. The best match of the tournament so far, beginning with a controversial Ronald penalty and concluding with a fabulous Ronaldo free kick, notching a hat trick and carryin on his fabulous Champions League form this season. In between, Spain twice came back from behind through Diego Costa and got Nacho to put them ahead for a bit in the second half after a brilliant goal. Hero of the day: Ronaldo. Dove for a penalty which he scored, added a second thanks to David de Gea’s rare mistake and capped it off with a stunning free kick. Best player in the world? Goal of the day: The last match of the day provided quite a few masterpieces, but Ronaldo’s 88th minute equalizer from a set piece was the finest of all. 1 goals: Artem Dzyuba, Yuri Gazinsky, Aleksandr Golovin (Russia), Jose Maria Gimenez (Uruguay), Nacho (Spain). Goals in the tournament: 13 in 4 matches, 3.25 per match. The 2014 World Cup had 2.67 per match.